Here are 4 totally realistic breakfast scenarios and matching recipes likely to give your milk a big boost, or at minimum, keep you from starving to death. I hope you enjoy, and that someone else will cook for you at least once this week. You need fast, like, really fast. Combine all and blend with hand blender, knock it back, and run for the door. Run back in, nurse, and change baby's diaper twice. Repeat. You will still take 1.5 hours to get out the door. Sorry. At least you ate fast. It's the weekend. 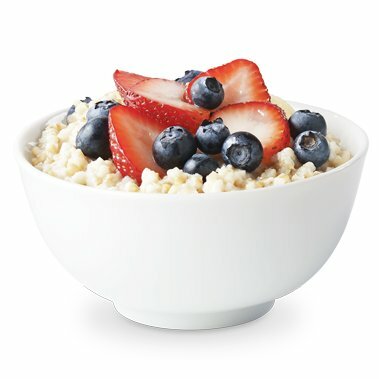 Time to make oatmeal to fuel you up for the week (4 portions). In case you don't have an Instant Pot (yes, you are the only one) here are the stovetop instructions. Bring water and salt to a boil, then add oats. Reduce to a very low simmer and cook 15-20 minutes, stirring from time to time. Turn off the heat and let rest 5 minutes. Keep in an airtight container and serve yourself some when you can't put the baby down through the week and may starve before anyone comes to rescue you. With one arm, put a bowlful in the microwave. Then top with milk, fruit, honey, barley syrup...anything you can reach, actually. Cheese. The kids' leftovers. Candy. This breakfast would work nicely for for anyone left to fend in a similar way! Boil the kettle, and pour hot water over cocoa and syrup in your favourite mug. Use his mug if you are sentimental, or just smash his favourite mug against the wall. Choose a wall away from where the children may cut themselves. The garage is good, or the basement. Stir, then add milk. Microwave to desired temperature then stir and enjoy, flavouring the drink liberally with your tears. Make a mental list of all the things you are going to do without children on top of you when he gets back. Pump milk to leave with them with so you can relax in an undisclosed location (the salon, the coffee shop, the book store, and the nursing lounge at Evymama). Someone else is making your breakfast. You have obviously hired a doula, or your mother is over, or you chose your partner wisely and not only because they have cute dimples. Good for you! Get them to make you the Papaya Smoothie as well. Bring barley, water, and salt to a boil. Simmer with the lid on, stirring occasionally over 25-30 minutes. Divide into 4 bowls and top with other ingredients according to your preference. Enjoy! Need more milk-making help? Check out our galactagogues and this blog post on pumping for milk production.